The Its Cool Flat is a standard keyboard with taught silicone cover. 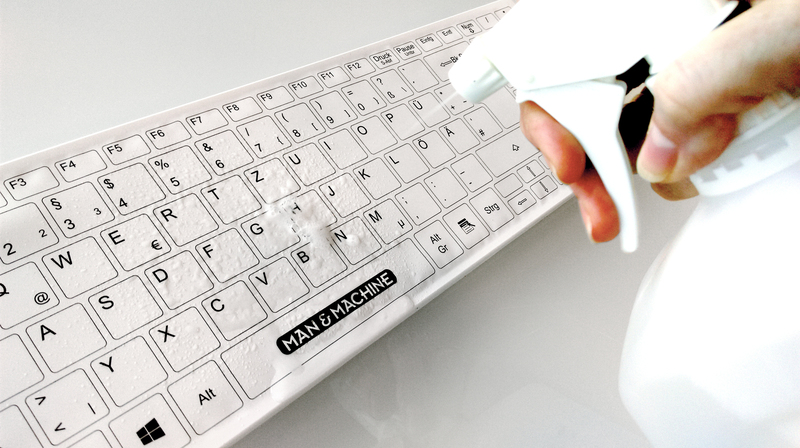 When the cover is on, it becomes extremely easy to clean, and still maintains great usability. 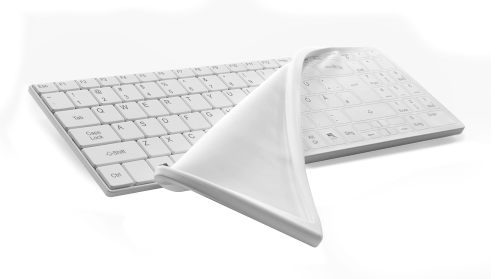 Replacement printed silicone drape molded for use with the It's Cool keyboard. One-wipe cleaning solution to fully complement existing hygiene protocols. Flat surface keeps germs out. Can be cleaned and disinfected using standard hospital grade cleaners or an Autoclave. Both Keyboard & Drape Included.